A true fall (and winter, just add a hat and a scarf) classic, this look features some very basic and timeless pieces that look great decade after decade. Warm fabrics, stylish and simple colors combined with a flattering fit - all the components you need for a successful outfit. 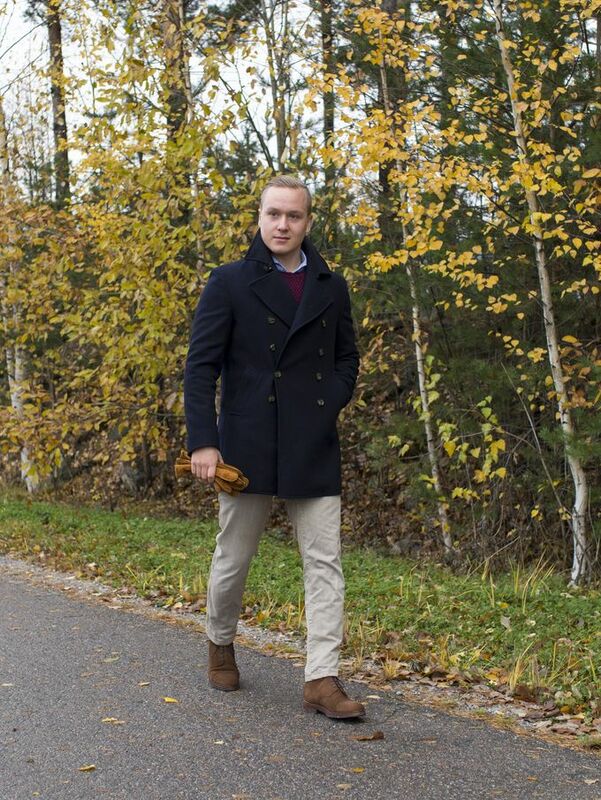 The navy peacoat is from SuitSupply, oxford cotton shirt from Trashness, basketweave knit from Zara, bridle leather belt from Equus Leather, casual washed chinos from Incotex Red, snuff suede boots from Meermin and gloves from H&M. 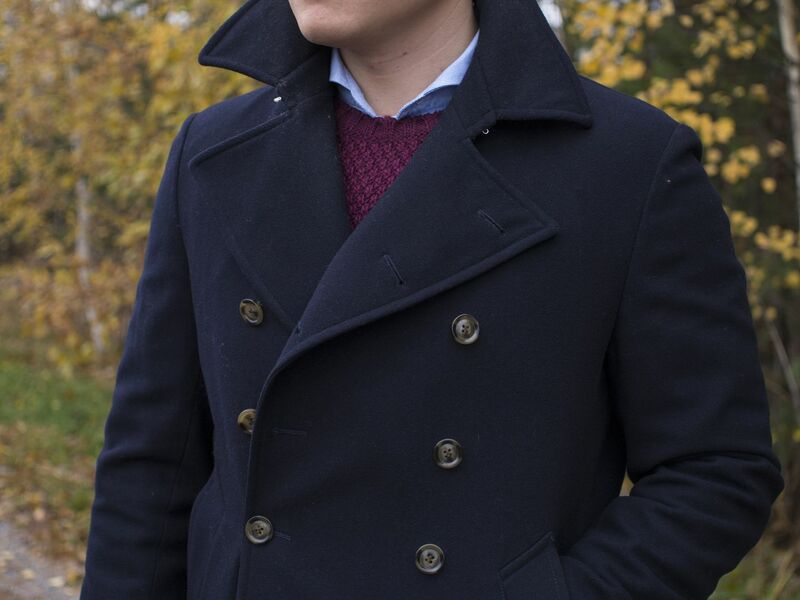 There's something about a deep dark navy color that just makes other colors look amazing. The sky blue oxford cotton Trashness shirt makes a good shirt to be worn underneath, my favorite for looks such as this. 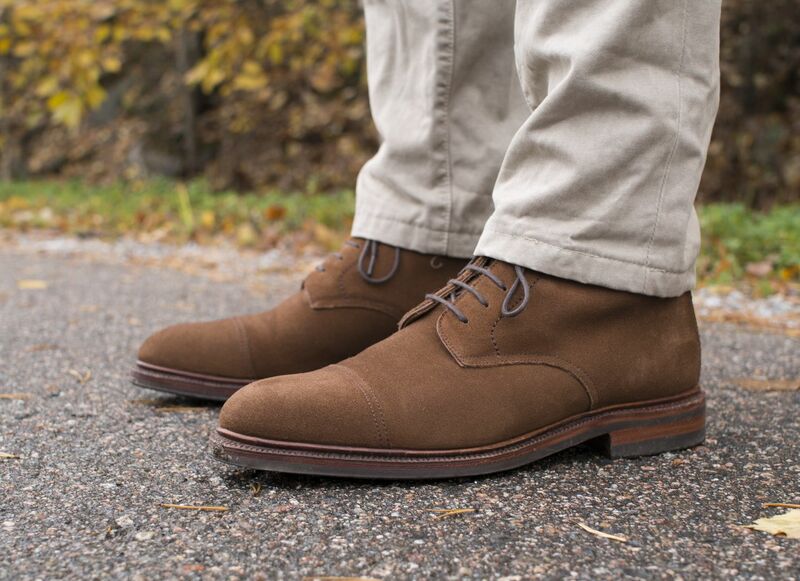 Brown suede, perhaps the best-looking material for shoes during the winter. Also the most durable.